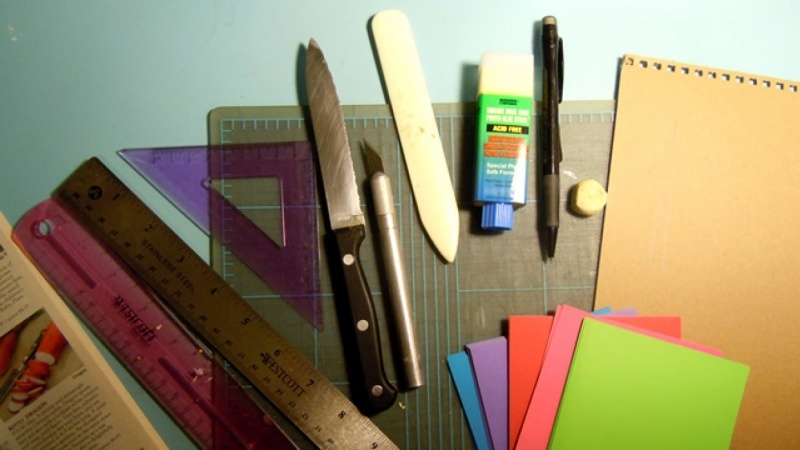 I've now gathered together all the materials to start my class project. So far, I've used the bending test on the big, thick piece of cardboard (which I got from the back of a used-up pad of watercolor paper) in my photo above, and the grain runs along the longest side. I've marked the grain direction with a pencil, although this doesn't show up very well in the photo. I am thinking of using the colorful square note papers in the photo to make my small-scale model of the book first. I still need to test the grain on these when I have more time. I will probably use white mixed-media paper later to create the larger version of the book.